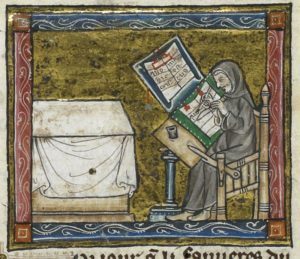 Detail of a miniature of a hermit at work on a manuscript, from the Estoire del Saint Graal, France (Saint-Omer or Tournai? ), c. 1315 – 1325, Royal MS 14 E III, f. 6v. 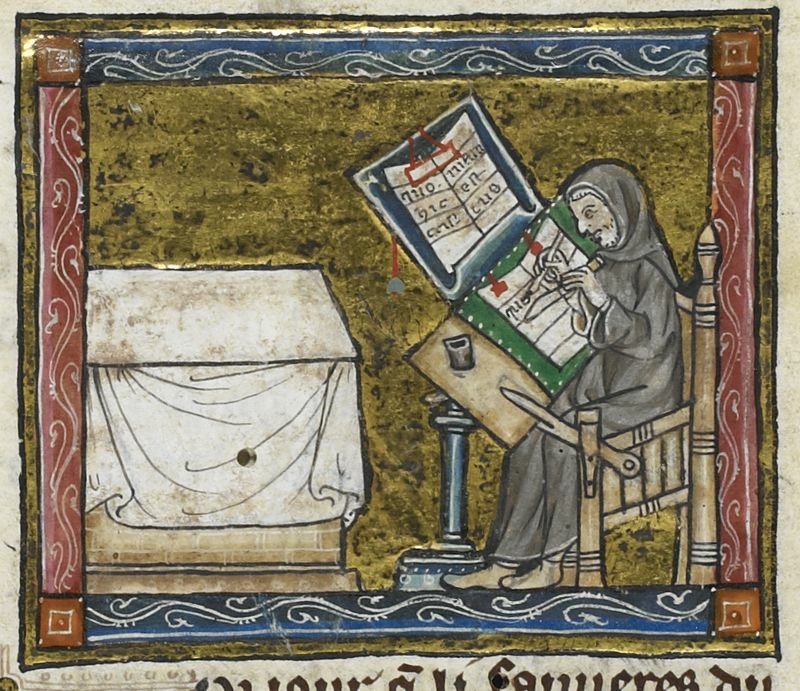 From the British Library, Royal MS 14 E III, f. 6v. The most recent newsletters (No’s 1 through 5, January 22nd through February 19th) are now available in our library.